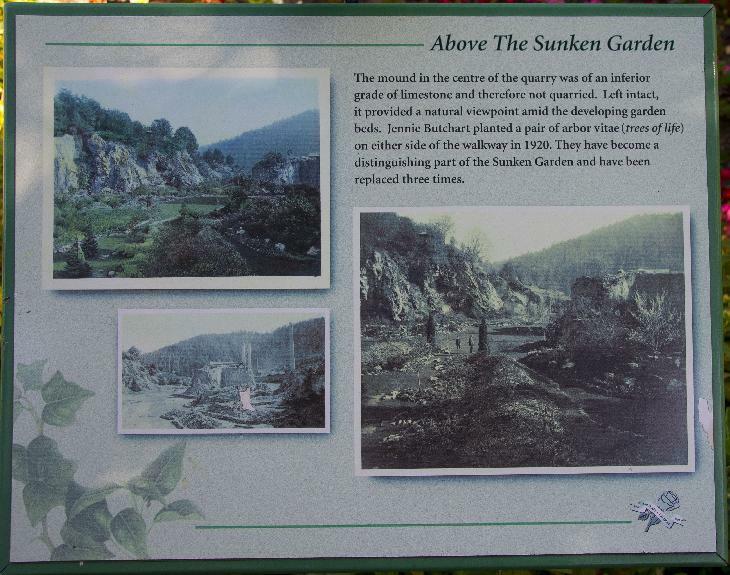 A sign within the Sunken Garden at Butchart Gardens, describe the history of the Sunken Garden. Originally it was a quarry. 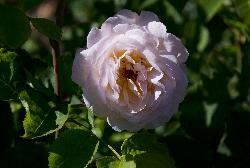 Photo of pink rose in the Rose Garden at Butchart Gardens in Victoria BC. Photo of a purple rose in Rose Garden a Butchart Gardens in Victoria British Columbia. Photo of Pink Dahlia in Butchart Gardens, Victoria British Columbia. A garden of roses in Butchart Gardens in Victora British Columbia. 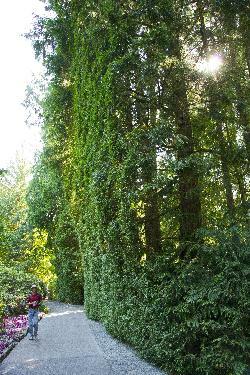 Photo along the way to the Rose Garden at Butchart Gardens in Victoria. View of Butchart Gardens Entrance Sign at Butchart Gardens. 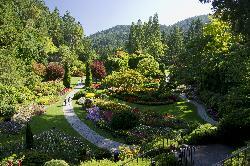 View of the Sunken Gardens at Butchart Gardens in Brentwood Bay near Victoria British Columbia. from site: 2011 (MMXI) was a common year that started on a Saturday in the Gregorian calendar. It was the 2011th year of the Common Era (CE) and Anno Domini (AD) designations; the 11th year of the 3rd millennium and of the 21st century; and the 2nd of the 2010s. Tourism British Columbia's mandate has been to promote development and growth in the tourism industry, to increase revenues and employment throughout British Columbia, and to increase the economic benefits for all British Columbians. from site: Benvenuto, Italian for 'welcome', is the name the Butcharts used for their original estate, now a National Historic Site of Canada, and still privately owned by family descendants. 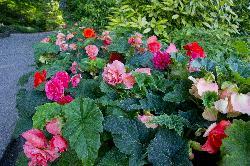 from site: The Butchart Gardens is a group of floral display gardens in Brentwood Bay, British Columbia, Canada, located near Victoria on Vancouver Island. 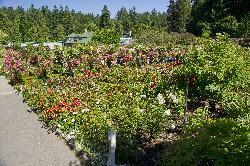 The gardens receive more than a million visitors each year. Victoria has something for everyone! There's so much to do and see - its just a matter of choosing. Whether you're strolling along the causeway in the Inner Harbour, enjoying a whale watching adventure, indulging in the distinct West Coast cuisine, or taking in a local theatre production, Victoria's attractions add up to a trip that's nothing short of breathtaking.